iFrogz Truly Wireless Earbuds. Condition is New, package has been opened for photo’s but never used. Shipped with USPS Priority Mail. Plug into your music without the wires. The perfect hassle free earbuds for those on the go! ☆ Color: Blue. Plug into your music without the wires. The perfect hassle free earbuds for those on the go! Local Pickup. Plug into your music without the wires. The perfect hassle free earbuds for those on the go! I Frogz Plugz Wireless Bluetooth Earbuds Headphones with Mic - Red. New Item in Open Box. 3 Sizes of earbuds. They include a 3.5mm plug that is compatible with most portable audio devices. The over-the-ear headphones are designed with AeroFoam cushions that provide the utmost comfort and support to your ears. Ifrogz CODA FORTE. BLUETOOTH STEREO HEADPHONES. BUILT-IN MICROPHONE. Our hard-working staff are professional, experienced, and dedicated to making your buying experience as pleasant as possible. Helpful Links. IFROGZ PLUGZ Bluetooth Wireless Headphones Earbuds In Ear -RED. Original, Lightweight Wireless Earbuds (As written on the box). 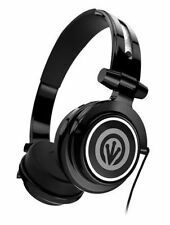 IFrogz EarPollution Mogul Foldable Pro DJ Style w/50mm Driver Headphones (Black). 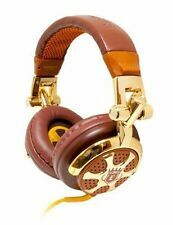 EarPollution Moguls are an elite headphone. A padded band and spring -loaded hinges provide comfortable extended use. iFrogz EarPollution Toxix Stereo Headphones - Red - Brand New! The IFROGZ EarPollution Toxix Headphones are stylish and their over-the-head design makes it very comfortable to wear. They have a rich bass effect which adds to the sound effect. So get the IFROGZ Toxix Headphones and make sure you never miss a beat from your favorite songs. Bluetooth Usage: 30ft. Sensitivity: 100dB /- 5dB at/à 1kHz 1mW. Cable Length: 35cm. Box may show signs of distress!! FOR SALE NEW iFrogz Zagg EarPollution Plugz Earbuds With Mic Red/Black. Trending at $9.46eBay determines this price through a machine learned model of the product's sale prices within the last 90 days. Plug into your music without the wires. The perfect hassle free earbuds for those on the go! I Frogz Plugz Wireless Bluetooth Earbuds Headphones with Mic. New Item in Open Box. 3 Sizes of earbuds. Lot Of 65 iFrogz Plugz Headphones Noise Isolanting Earbuds Retail Resale Headset. Condition is Manufacturer refurbished. All have been tested and are in great working order. The colors are mixed of black, white, sliver, red ETC. some contain a mic some do not. As shown the packaging is damaged. Some also contain extra ear cushions as well. Amazing product and big profit maker. Bluetooth Range: 30ft. Cable Length: 35cm. Frequency: 20Hz - 20KHz. Sensitivity: 97dB /- 3dB. Resistance: 16 Ohms. Drivers: 11mm. Color: White/Gold. Noise isolating. Open box. Box may be damaged, but the item has been professionally inspected, cleaned, and fully tested for quality assurance. iFrogz Little Rockers Kids Headphones Boys Red Blue by ZAGG Brand New OEM. Condition is New. Shipped with USPS First Class Package. iFrogz Earpollution Plugz Audio Earbuds - Silver In Ear Buds. Condition is New. Shipped with USPS First Class Package. •	Slick design for comfort and design. •	Comes with remote and mic. •	Can take and end calls. •	Play or pause. •	Track forward or backwards. iFrogz EP-TX-BLUE EarPollution Toxix Headphone, Blue. Shipped with USPS First Class Package. You'll receive all three sets. 6mm driver. Model 4757C. 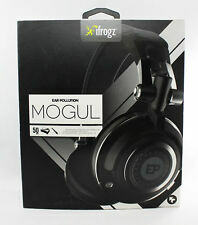 EarPollution Moguls are an elite headphone. A padded band and spring -loaded hinges provide comfortable extended use. Let's Get on the Party Ride. However, each country?. Moguls have a padded band and thick cushions, to give you maximum comfort, while spring-loaded hinges fit any head. May show signs of wear. 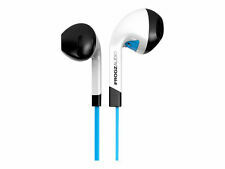 IFrogz earbuds - White. Say goodbye to tangled cords forever with these totally wireless earbuds. Charging case. Quick-start guide. 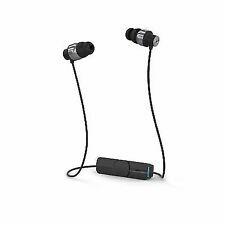 BRAND NEW SEALED iFrogz Audio - FLEX FORCE Wireless Bluetooth Neckband Earbuds - Black. Condition is New. Shipped with USPS First Class Package. 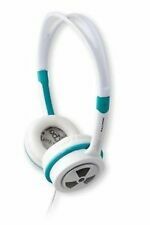 Little Rocker Kids Over Ear Headphones. Safe: A built-in governor protects kids ears by not playing music over a safe 85 decibels. Connectivity technology: wired. Convenient: With a 1. 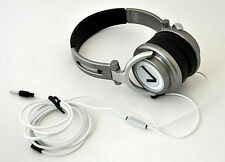 [.8] Up for sale we have a set of iFrogz Coda audio headphones. They have been refurbished, fully tested and work perfectly! iFrogz Coda Over-the-Ear Headphones. Enjoy lush audio with these iFrogz Coda over-the-ear headphones that feature noise cancellation and sound isolation for crystal-clear sound. For comfort during extended listening sessions. Prevents sound levels from rising above 85dB to protect your child's ears. Ensures faithful sound reproduction. For powerful sound. 20Hz - 20kHz frequency response.